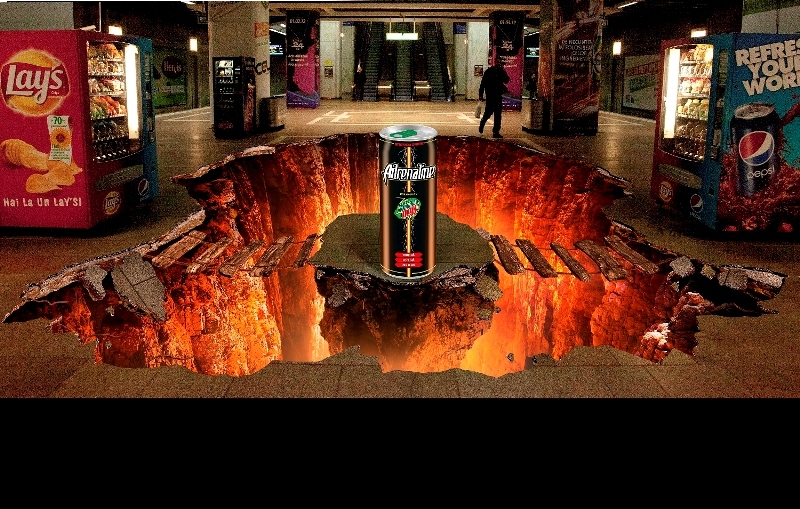 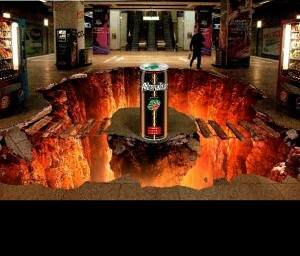 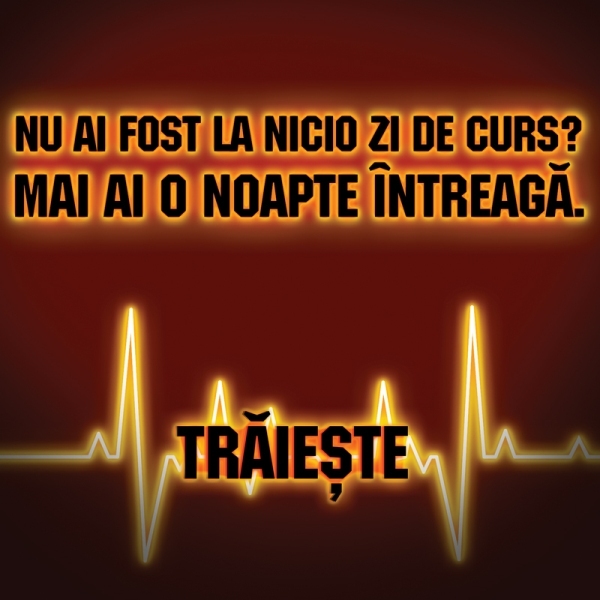 Graffiti BBDO launched a new campaign for Pepsico, for their Adrenaline brand, that was already signaled by many for the executions in Bucharest Subway . 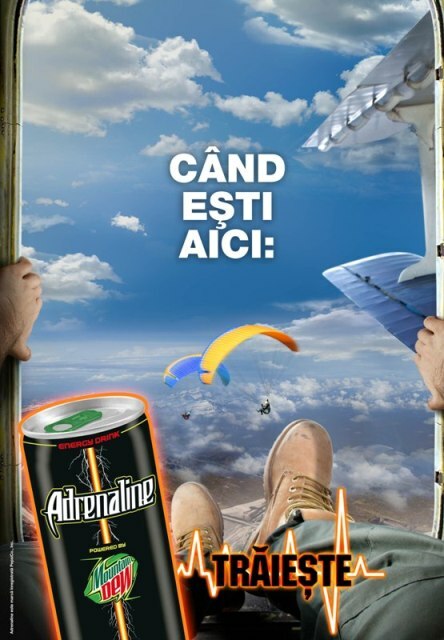 As Lavinia Florea, Account Director Graffiti BBDO, explained, “Adrenaline is a brand that ‘talks’ to you, through its name, from the 1st moment you hold the product in your hands. 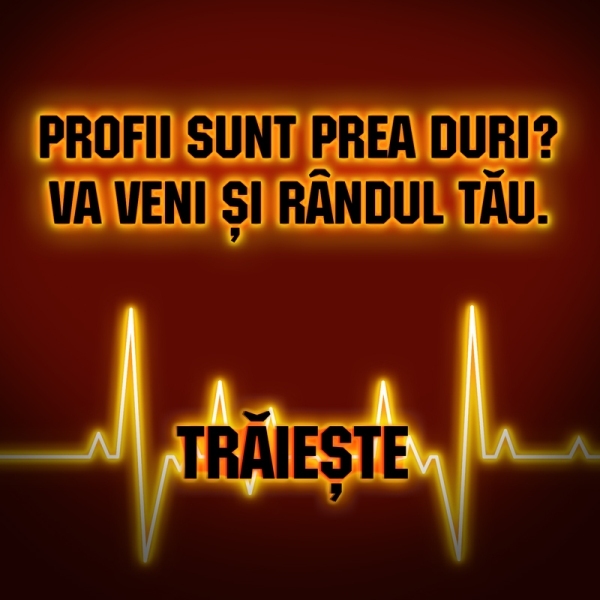 It is a powerful and intuitive name that we worked easy with and that had something to say during the creative process. 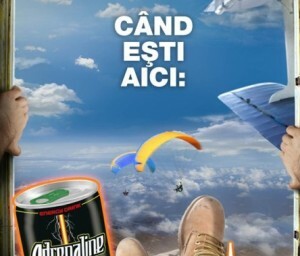 ‘Live’, the concept behind the launch campaign, was a simple step forward in shaping the brand and its positioning in the category as ‘The Experience Igniter’ or the impulse you need to go beyond your limits”. 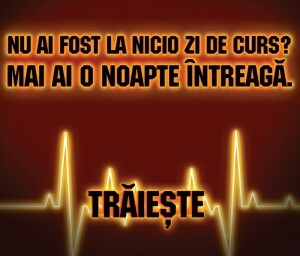 The campaign started from an insight related to the situations when you are facing a dare, as explained by one of campaign’s strategist. 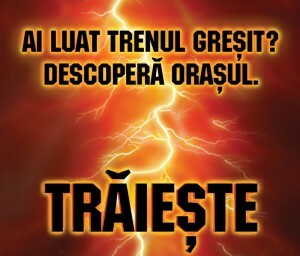 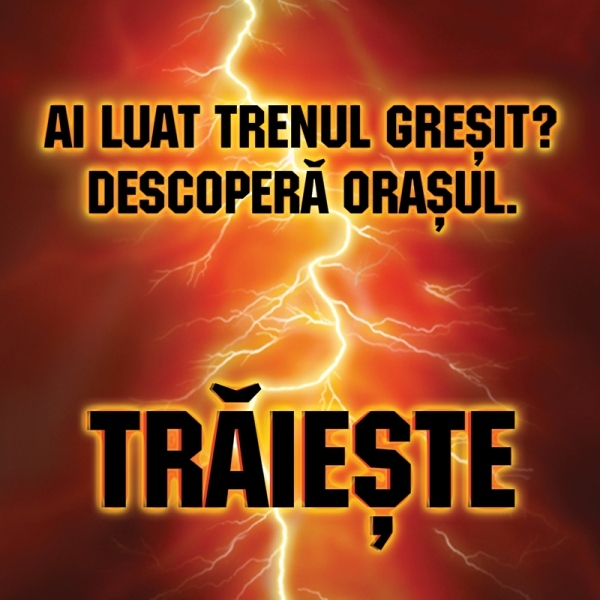 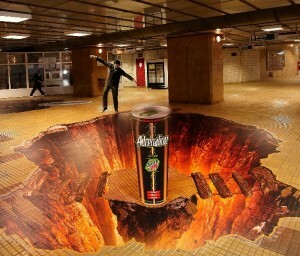 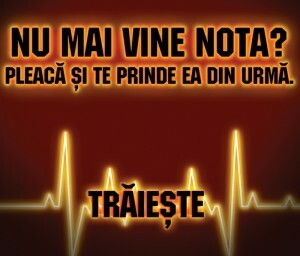 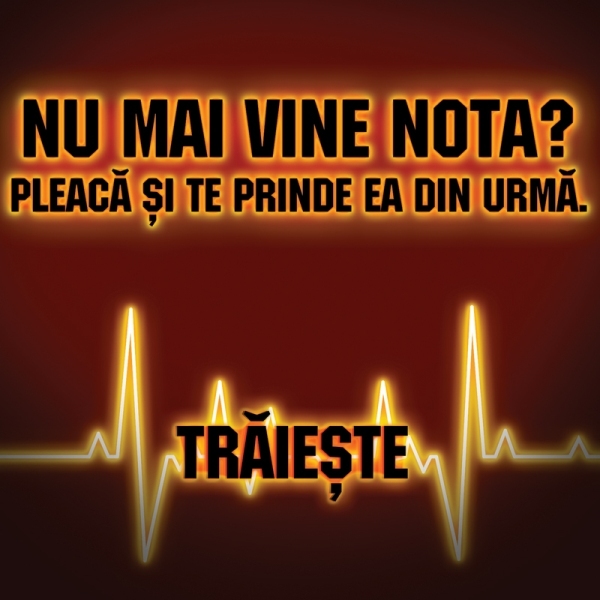 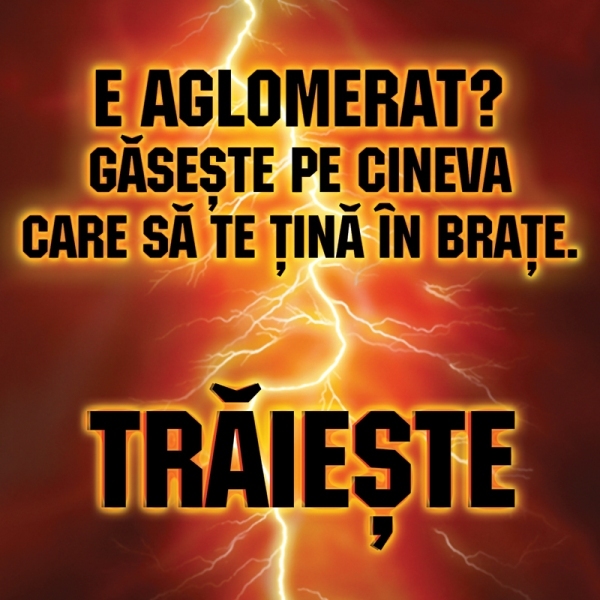 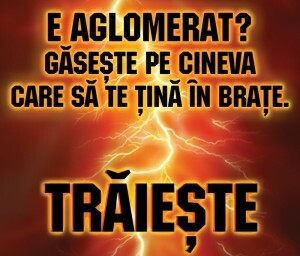 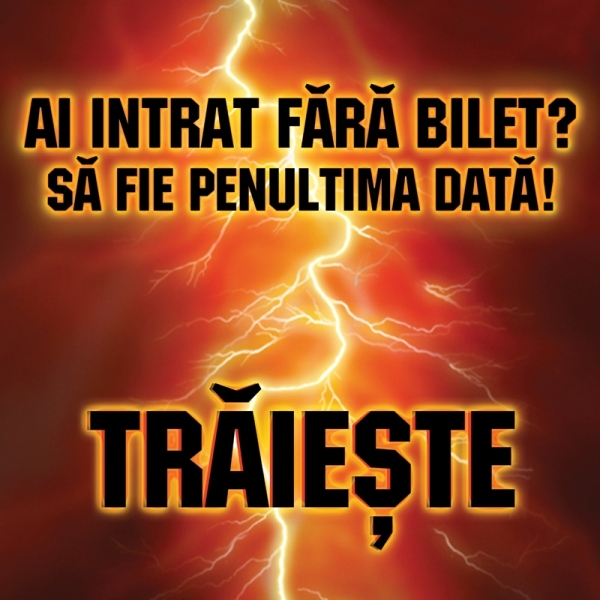 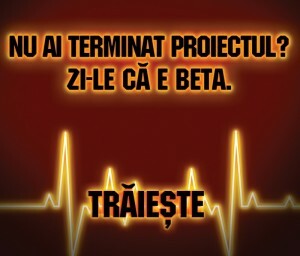 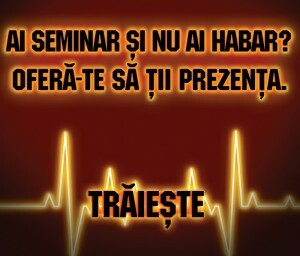 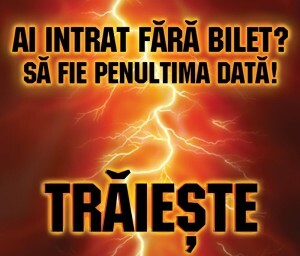 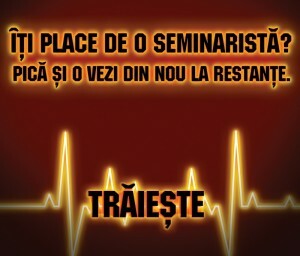 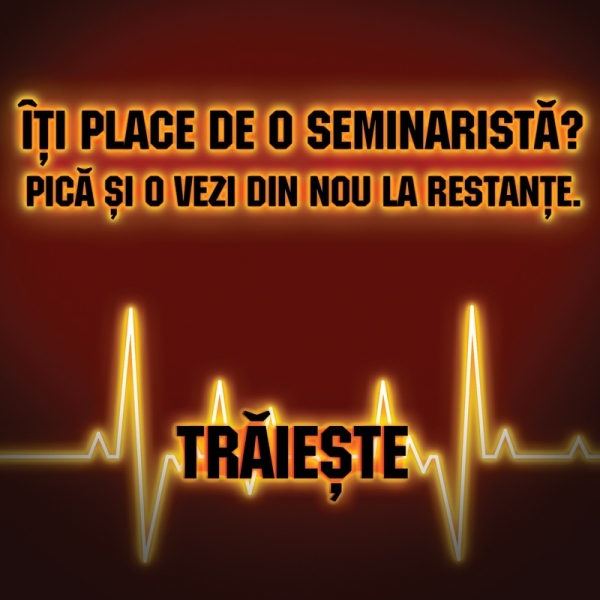 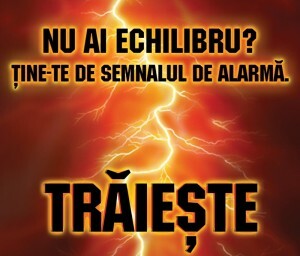 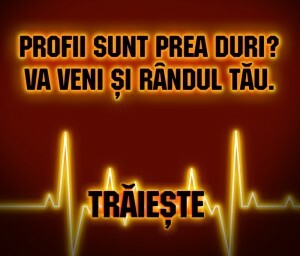 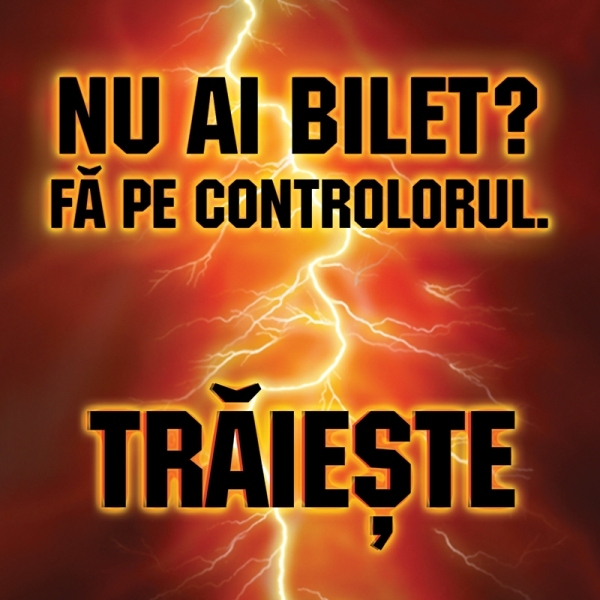 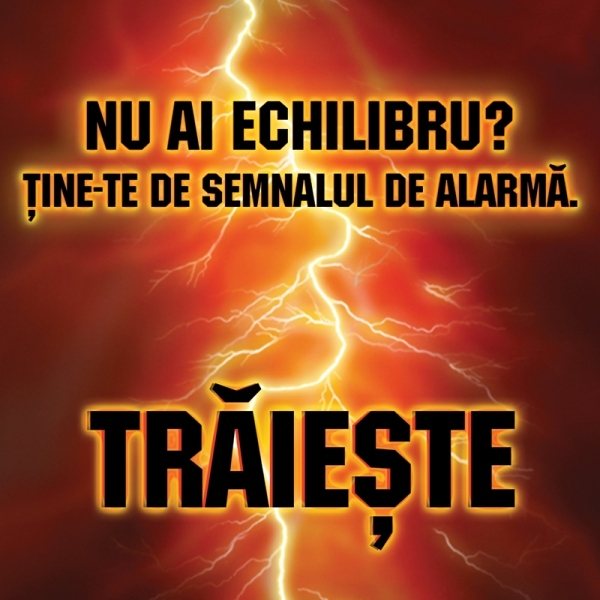 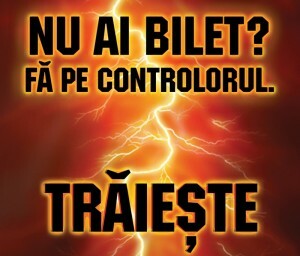 The communication campaign included more components TV Adrenaline teaser of 10 seconds and TV revealing ad of 20 seconds, OOH consisting in 3D stickers in Bucharest’s subway network – Unirii and Victoriei stations – and posters in student campuses and universities (exposed in frames of 70×100 cm), guerilla actions including stickers with contextual messages in Universities, student campuses, walking areas, subway or buses. 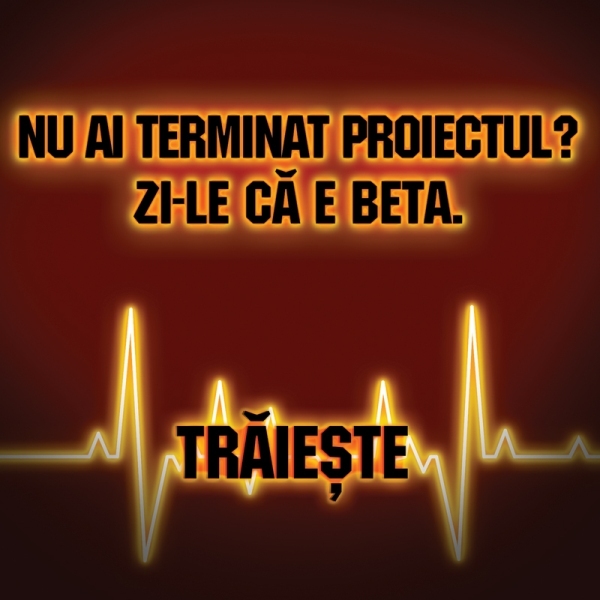 The campaign is also declined online, on a dedicated website and a Facebook page. 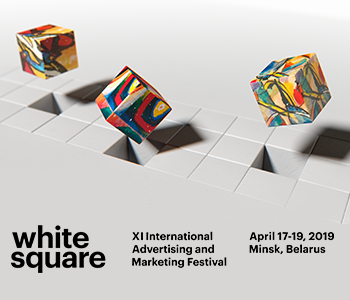 Graffiti BBDO: Mihai Gongu – Creative Director, Roxana Cristea – Copywriter, Ela Ciorita – Art Director, Stefan Chiritescu – Head of Strategy, Alecsandra Roman – Strategic Planner, Lavinia Florea – Account Director and Cristian Gomoi – Account Executive. 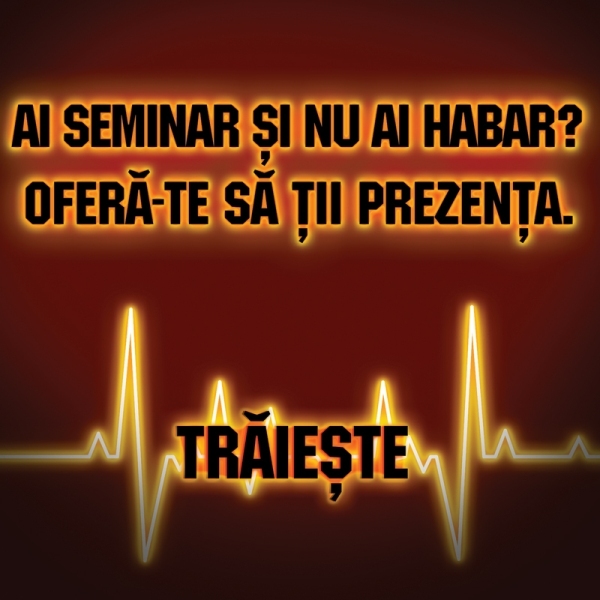 The media was handled by Mediacom, with Mihai Borsaru – Account Coordinator. 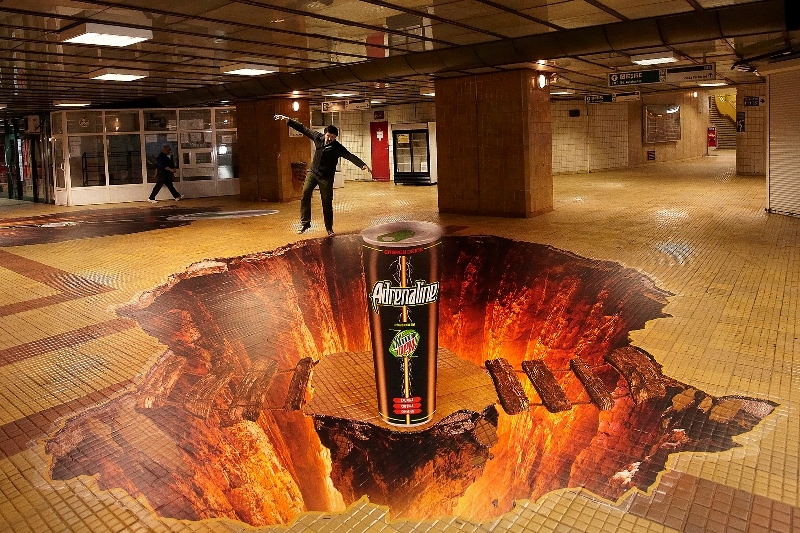 For the subway ads, responsible are the people from New Folder, with a team including Alexandru Neagu Veber – CGI and Oana Marinica & Dan Vezentan – retouching.